The first days in my new temporary home are chaotic. I have to drive up and down to Faro and I am so happy with my Portuguese mobile phone, as lot’s of phone calls are necessary. The first one is to the car rental office, to ask for another car. No problem there, I can collect another one at the airport in Faro. This time I get a Fiat Punto and it drives way better and has brand new tires. I combine my visit to Faro with buying a new computer at Staples, as my old one gave me already a headache for a year or so. I have to drive up and down a few times, before everything is solved and the programs transferred, but the service is one of a kind, as I finally leave the store one hour after closing time! I told them I can’t function without my computer, which is true! Another obstacle is the internet stick for my computer. For that I have to drive up and down to Tavira. Sometimes they work in one go, but mine took a lot of phone calls and store visits, before it was willing to function. I noticed that a lot of tourists were confused about the two choices you have to make; you can buy time on your stick or you buy GB. If you use the internet stick for mainly downloading movies, then you better buy time. I go for the GB, as I need the internet for my writing; I will download my pictures in an internet cafe. There is a great place in Manta Rota; Pastelaria Manta Mar, where I go every so many days, end of the afternoon, for a glass of wine (or two) and work for a couple of hours on my computer, as they have free wifi. This place is the expert in good coffee and sweets! Nice people there! After three days or so, everything is set and working and I can start exploring. If I am not on the road or in Manta Rota working, then I walk end of the afternoon to Fabrica, for the sunset. There is beside a restaurant, also a small cafetaria, right at the Laguna. Here the locals are gathering around for a chat and a drink and some tourists and in the weekends lots of Portuguese are also finding their way towards this unique spot. Some small fishing boats are coming in or still sailing out. In this time a year it can be pretty cold, so I always brought a thick sweater. The view of the sunlight on the small fishing boats is very relaxing and I never can get enough of it. It is always nearly dark when I leave and I have to bring a torch to find my way back over the beach to Cacela Velha. 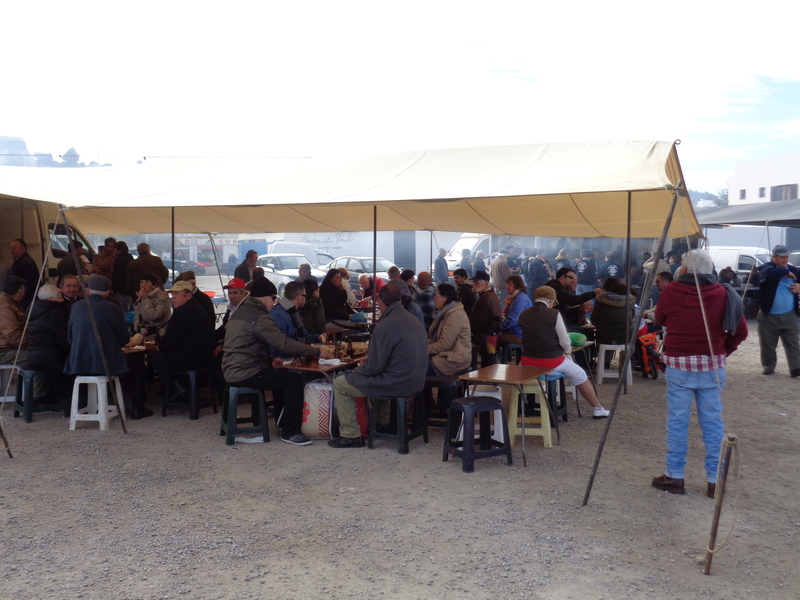 One of the things I thoroughly enjoyed, is a visit to one of the big Saturday markets. There is every Saturday (and also sometimes on Sunday) a “region” market and every week in another place. 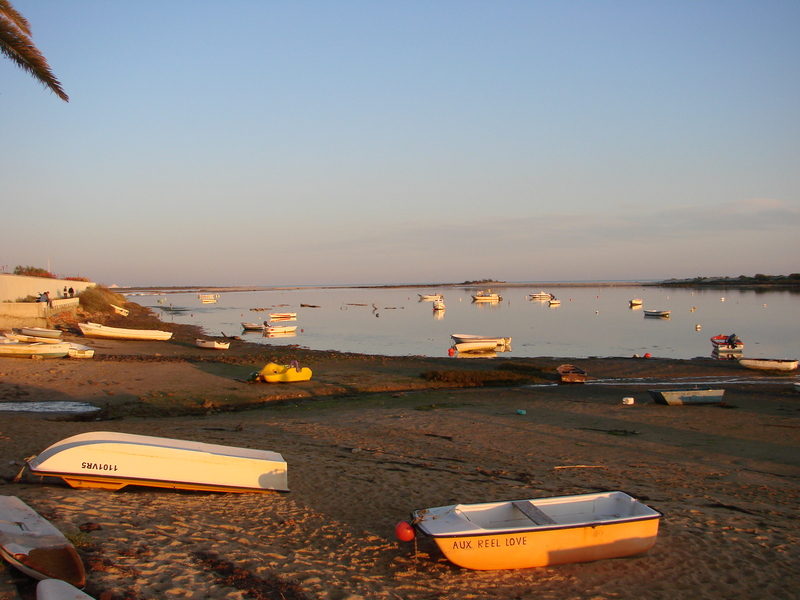 The Eastern Algarve Magazine mentions where the markets take place. 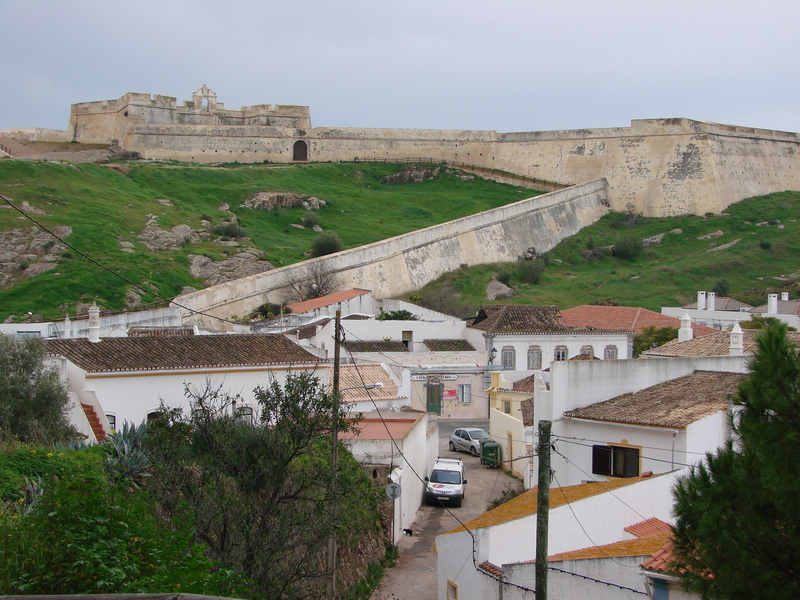 The first one I go is in Castro Marim. 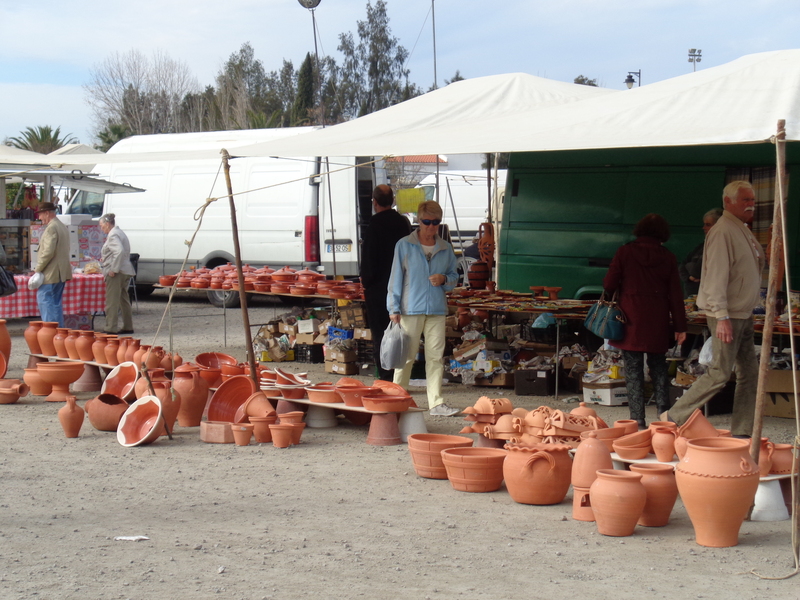 Later in the month I will go back to Castro Marim to visit the two fortresses, but this time I concentrate on the market. I have visited many market places in my life and in Greece they were huge, but this one is something else. Clothes, shoes, towels, fruits, vegetables, nuts , cheeses, olives and many other things. What I enjoyed the most is the ambiance. There were 3 barbecues going with chicken piri piri (hot), bottles of red wine flowing and of course beer. The locals, as well as the tourists (mainly Dutch in this part of the Algarve) were sitting on long tables, enjoying not only the food, but also the singing and guitar playing. A lot of Spanish influences, so close to the border.